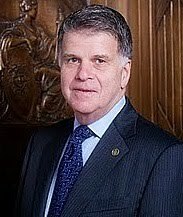 The Federation of Genealogical Societies has announced that Archivist of the US David Ferriero, will be speaking at the annual FGS Conference – on Wednesday August 18th in Knoxville, TN. He will be the luncheon speaker at the Focus on Societies Luncheon. His topic will be The Citizen-Archivist. He will also speak about the War of 1812 Digitization Project and have a question and answer period. That same day he will also give remarks at the Librarian’s Day conference. The FGS Annual Conference takes place in Knoxville, Tennessee from August 18-21, 2010. “Rediscovering America’s First Frontier” is the conference theme and it is co-hosted by the East Tennessee Historical Society and the Kentucky Historical Society. Click here for more information on the annual FGS Conference. Faith and Begorrah - Ireland 1901 Census is now live online.